Businesses can put the strength of Google into their marketing strategy. As the largest internet search engine in the world, Google not only specializes in internet-related services, but also a host of digital advertising technologies, cloud computing, software and hardware. Many tools are free or low cost. Small to medium size businesses that don’t have the advantage of a full marketing department can use Google to significantly grow an online presence. A Google email account is required to get started. It’s okay if you already have a different business email, you will be able to add that information to various Google listings. Set up your Google account here. If you don’t yet have a website, check out Google’s Get Your Business Online (GYBO). From building a free website to attending complimentary Google seminars, the project connects thousands of cities and local organizations to help businesses with training programs and workshops. Resources include help on many Google services, including those listed below. Learn more about GYBO. When a potential customer searches for your product or service on Google, the blue listing that comes up on the right side of the screen on desktop or the top on mobile is part of Google My Business. You can “claim” your business page, edit and update the information. 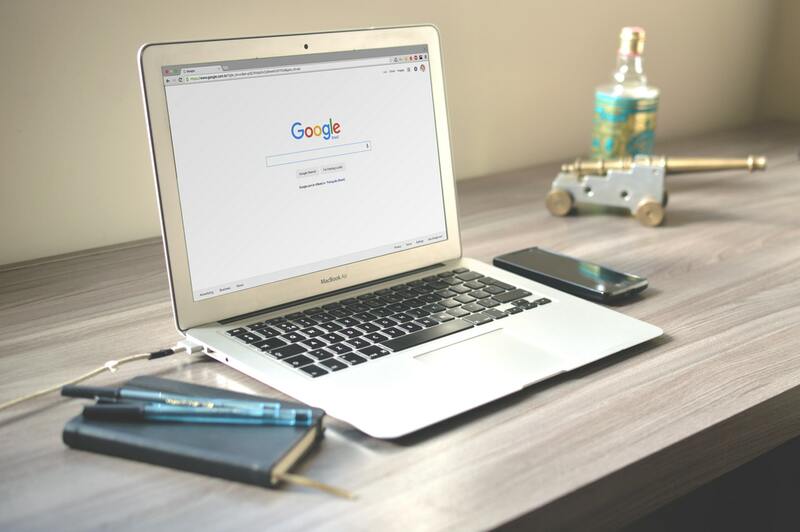 Google My Business will help you prominently stand out from competition and connect with customers all throughout Google’s powerful search reach. Get started with Google My Business here. Resolve the issue. When you respond positively online in a public forum you will show other potential customers your responsiveness and willingness to resolve a complaint. Your Google My Business page will also put your business on Google Maps. Just remember: Technology is not always perfect. Make sure to check that Google has listed your location appropriately. To move a pin for your business location, first check that you entered your address correctly using the same spelling the USPS uses or check Google’s address entry guidelines. Click the Addressfield and check that your address is correct in the window that appears. On the right side of the window, you’ll see a map with a red pin representing the middle of your business location. Drag the pin to your business location, using the +and – buttons at the bottom-right of the window to zoom in and out. Once you’re sure that you’ve accurately pinned the middle of your location, click Applyin the top-right corner of the page. Note that your edits may be reviewed for quality before being published. If you’re sure that your information looks correct, wait two to three days to see if the location changes status in your Google My Business dashboard. If you’re still having issues, please contact Google. If you search for a product or service, then continue to see related products every time you go on the internet, the company is like running a paid Google AdWords campaign. Here’s how it works. You determine what keywords a person would use search for to find your business, let’s say “lakeside cabin rentals MN” for a resort business. Google helps you place ads about your business in response to people searching for variations of that term. You pay when someone clicks your ad, with an adjustable budget limit you set. Google AdWords can potentially help businesses reach more customers, and boost sales on a fairly easy-to-use, cost-per-click (CPC) advertising platform. For example, if you have a daily budget of $10, you would have a maximum CPC of 50 cents and approximately 20 clicks per day. Google AdWords, however, takes some finesse and practice, and it takes time to see tangible results. Do some research and analyze results as you go along, or hire a professional. You can read more about AdWords here, and even get free help from Google setting up your campaign. According to statistica.com, more than 220 million people in the U.S. will shop online this year, making internet exposure crucial for businesses with something to sell. This does not include the masses that will use the internet to learn more about your business and then purchase directly from you. Small businesses may find it hard to decide where to spend their time and money when it comes to digital marketing. As the largest internet search engine in the world, Google is an excellent place to start.